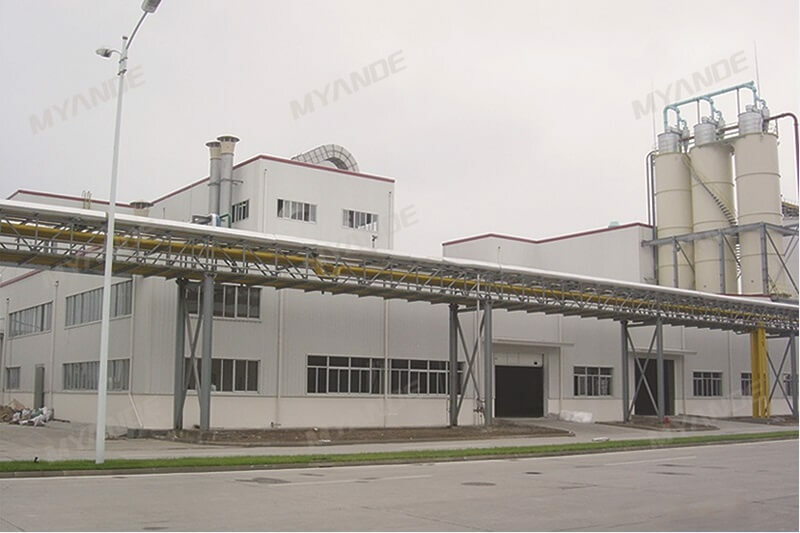 wheat starch process technology For Sale | Myande Group Co., Ltd.
Flour is mixed with proportional water, then goes through the homogenizer to three-phase decanter for separation. Streams coming out of decanter are as follows: A starch/fiber, gluten/B starch and animal feed. Gluten and B starch stream from Decanter is pumped to Maturing Rotary Drum with a proper vessel, stable stream and precise retention time. 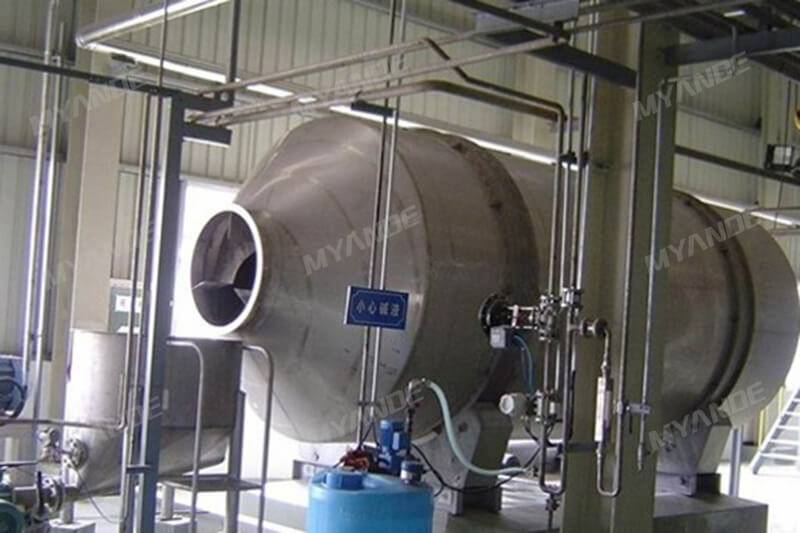 For general reaction tank, there is always mixed material stream, so it is not available in this section. 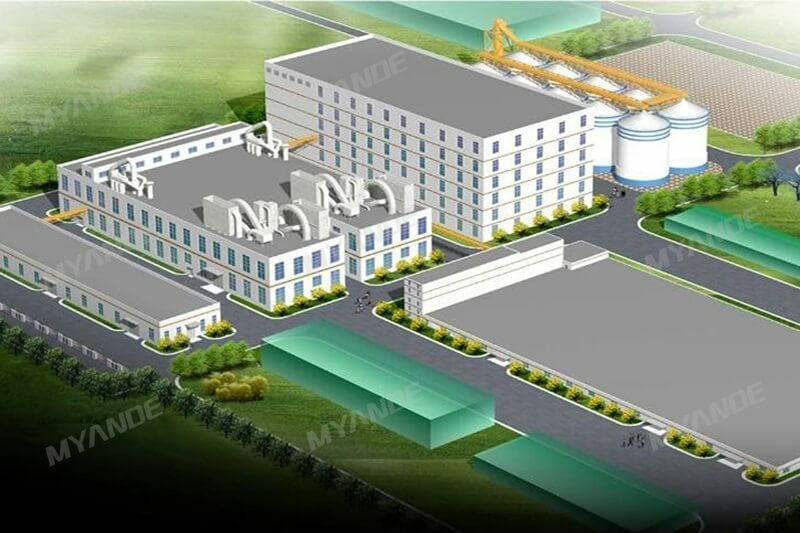 Maturing Rotary Drum is the reasonable equipment specially designed for this process. During maturing, gluten paste reticular structure becomes soft and bound starch dissociates out. Gliadin and glutenin become forming long molecule chain, that is gluten paste has formed. 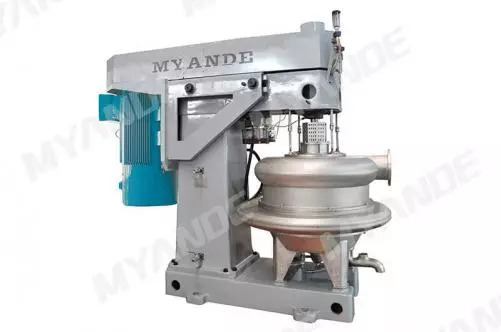 Matured slurry mix with process water then is pumped to gluten Agglomeration Machine in which Gliadin and glutenin molecule chain form gluten paste. To ensure high gluten recovery rate, a conical rotating sifter is fitted below bend screener through some of the fiber and small-size gluten pass. 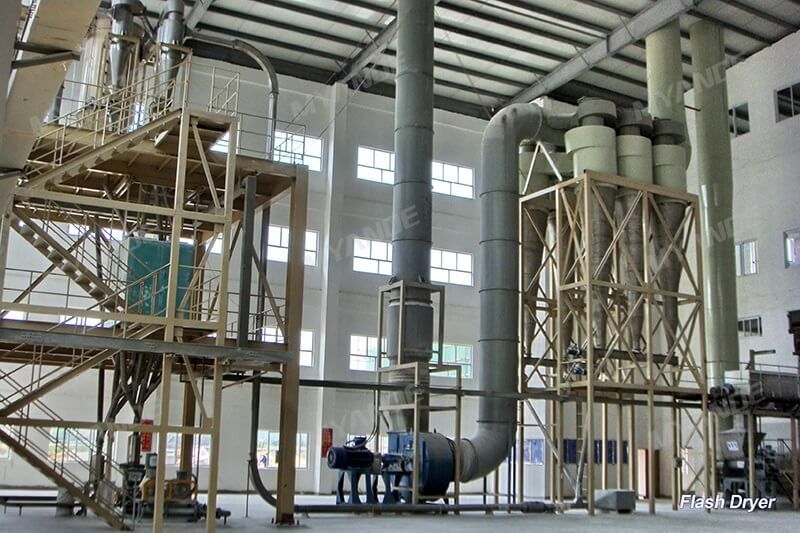 Large granule gluten formed of the small-size gluten is recovered by the recovering sifter. 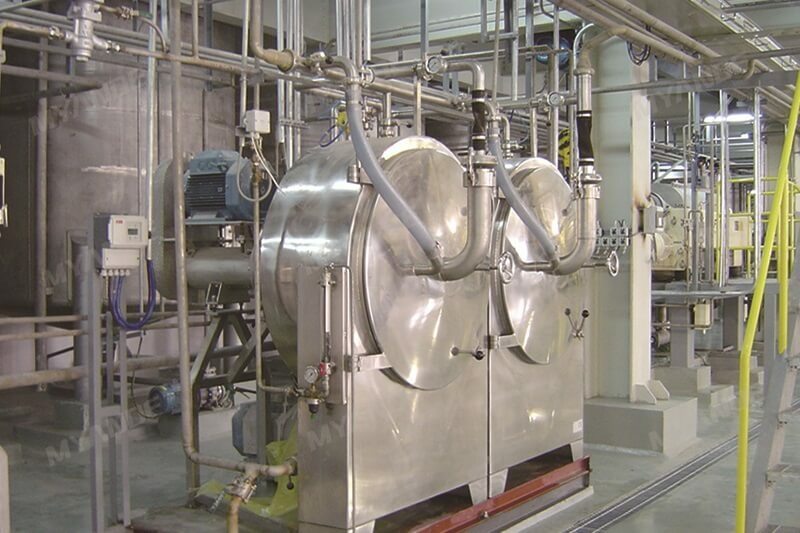 This process retrieves fiber from starch slurry and broken gluten and sends it to sifting process. 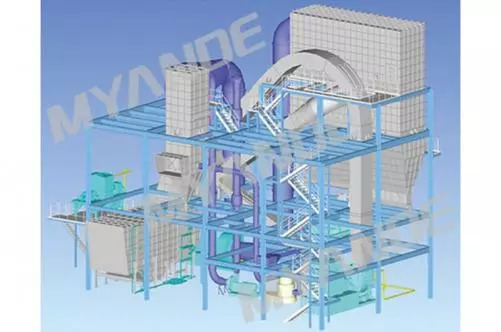 This process retrieves A starch contained in the starch slurry in the gluten recovery process and sends the retrieved A starch to the refining process. 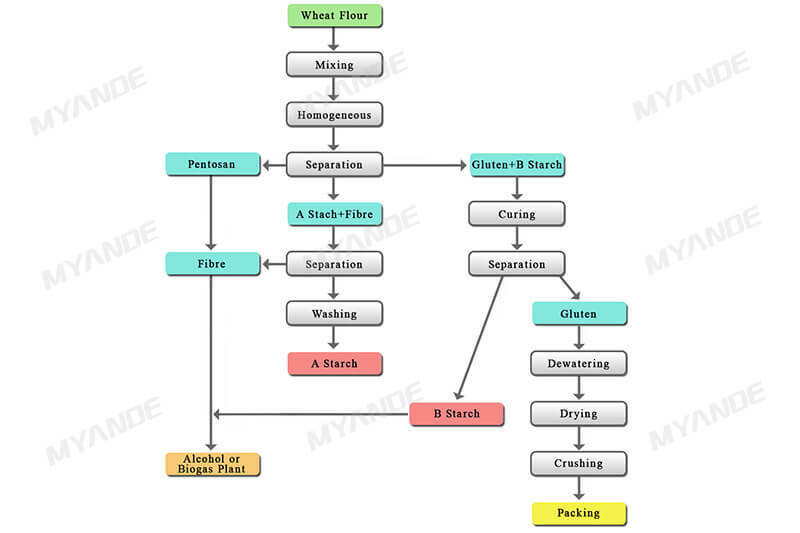 B starch through concentration & dewatering process becomes concentrated B starch liquid with 65% concentration rate. Washed through hydro-cyclone and dewatered by peeler centrifuge.